Joining WJEA couldn’t be easier. At $35 for membership ($20 if retired). How can you afford not to join? Simply download the form below and mail it in, or register online. That’s it! This is our primary membership category. This includes current or past advisers or journalism educators. This is our secondary current membership category. This category includes retired teachers or advisers who are still interested in scholastic journalism, unless they are employed by commercial firms providing sales and services to journalism teachers and publications advisers or are engaged in other commercial enterprises, which might represent a conflict of interest. Student members shall be high school or college students with an interest in journalism or related fields. Student members shall receive all WJEA publications, may participate in meetings or conferences, but shall not vote nor hold office nor nominate candidates for office. Honorary members shall be persons devoted to the interest of successfully promoting secondary school journalism and its related fields. Honorary members may be elected for life by the board of directors. Honorary members shall receive all WJEA publications, may participate in meetings and conferences, but shall not vote nor hold office nor nominate candidates, except that those who were previously teacher/adviser members shall retain all rights of that membership. 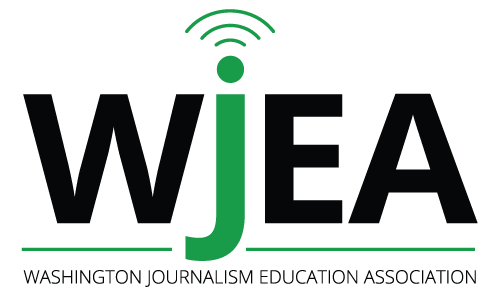 • Other related institutions, businesses or organizations interested in promoting scholastic journalism Members shall receive all WJEA publications, may participate in meetings and conferences, but shall not vote nor hold office nor nominate candidates for office.